She said she wanted dance pictures. She said she didn’t want the run of the mill portraits that the studio offered. 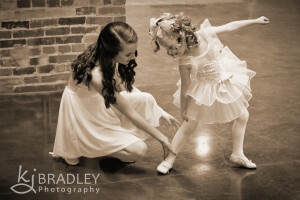 She said she wanted to capture her girls’ personalities instead of just their technical moves and costumes. That was when I finally caved and agreed to step out of my comfort zone to photograph these beautiful dancing sisters. Having photographed them before, I was confident they would create gorgeous images. Posing dancers perfectly, however, was my challenge. 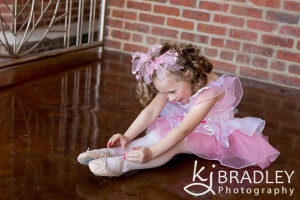 I knew little Miss Maddie had practiced her moves and would be ready to perform. Mackenzie’s grace and years of dance training made the rest easy, too. Here are some of the results of our dance session. I am very pleased with the final products and hope Mom and the girls are, too! 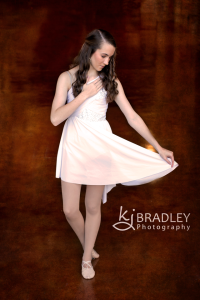 To see more of these pretty girls and their dance session, be sure to visit the KJ Bradley Photography facebook page.